Molars and premolars are particularly vulnerable to tooth decay and cavities because their surfaces contain many small grooves and indentations. While brushing and flossing can help prevent decay on the flat surfaces of front teeth, they can’t fully eradicate plaque on the chewing surfaces of back teeth. Dental sealants can solve the problem by providing a protective shield to seal teeth away from food and plaque and stop cavities before they start. Who is a Candidate for a Teeth Sealant? A child or teen who is vulnerable to decay in the grooves and depressions of his or her molars and premolars is a perfect candidate for a teeth sealant. Applying a sealant to permanent teeth as soon as they emerge can help protect them during the cavity-prone ages of six to 14. Baby teeth can also be treated with sealants. Although they are temporary, they are important for holding the appropriate amount of space for permanent teeth. Adults who don’t have decay or fillings in their molars are also candidates. What is the Teeth Sealant Procedure? The teeth will be thoroughly cleaned. Every tooth will be dried and shielded from moisture. To help the sealant bond easily, a mild acid solution will be applied to roughen the tooth surfaces. The teeth will be rinsed and then dried. The teeth sealant will be brushed onto the enamel, where it bonds and hardens. A curing light may assist in the bonding process. Dental sealants can last for up to ten years. Your dentist will check them for everyday wear and chipping during your dental exams. 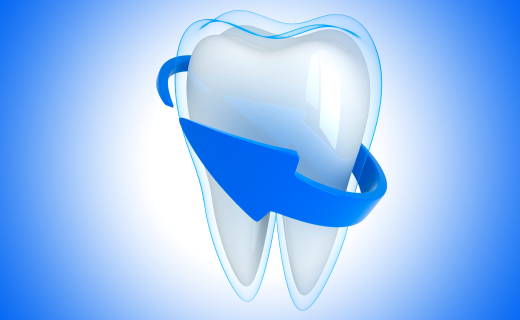 If your teeth sealant gets damaged, it can be replaced. Many dental plans cover sealants. Check with your insurance company to be sure.